Norwalk, CT—October 4, 2016— TMC (News - Alert) announced today the conference program for MSP Expo, being held February 8-10, 2017 at the Greater Fort Lauderdale/Broward County Convention Center in Fort Lauderdale. 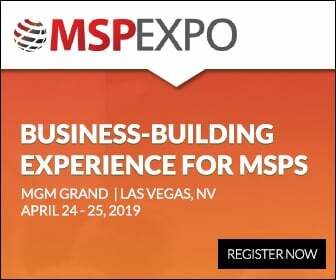 Over three intensive days of education, MSP Expo brings together MSP professionals and thought leaders to network and explore the latest innovations. MSP Expo is a part of ITEXPO (News - Alert), the communications and business transformation event where influential buyers gather to make their purchase decisions. To be considered for speaking opportunities in any of these sessions please complete the online form http://itexpo.tmcnet.com/east/call-for-papers.aspx. MSP Expo speakers must adhere 100% to TMC’s “no commercialism” policy. If speakers cannot avoid commercialism, please do not submit a proposal. Questions regarding speaking opportunities at ITEXPO should be sent to Dave Rodriguez at 203-852-6800 x146 or Erik Linask at 203-852-6800 x284. MSP Expo is supported by platinum sponsor Service Tree and gold sponsor Xtel Communications. 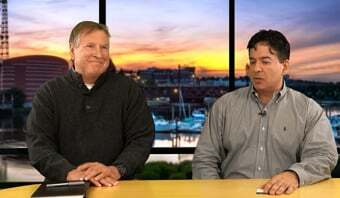 For more information or to register for MSP Expo, contact Frank Coppola at 203-852-6800 x131. For media inquiries, contact Jessica Seabrook. Companies interested in exhibiting, sponsorship or advertising packages for ITEXPO should contact TMC's Joe Fabiano at 203-852-6800 x132 or Maureen Gambino at 203-852-6800 x109. For the latest MSP Expo news, updates and information follow the event on Twitter (News - Alert) at @MSPExpo.